A set of two transparent png overlays drawn by me. Wow! These are Beautiful!! Thanks for sharing with us! HAPPY MOTHER'S DAY ANNA!!! Thank you for the LOVELY overlays - they are FABULOUS looking!!! What perfect timing! Exactly what I have been searching blogs for! Thank you for sharing your talent. How are you? How's it warming up in your part of the world? We've had some lovely warm weather here but gets very chilly at night time. Hope all is well with you and hope you have a lovely weekend. Thanks for these wonderful overlays, they are unique! Your work is always awesome! Thank you. Overlays are the ultimate gift that keeps on giving. You can do a multitude of things with just one. Thanks again. Thanks so much for sharing these goodies; love the Mother's Day kit! 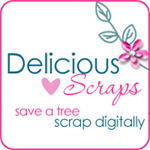 Overlays Your Place to find Commercial Use Scrap Booking Freebies! Thank you for your great shares!